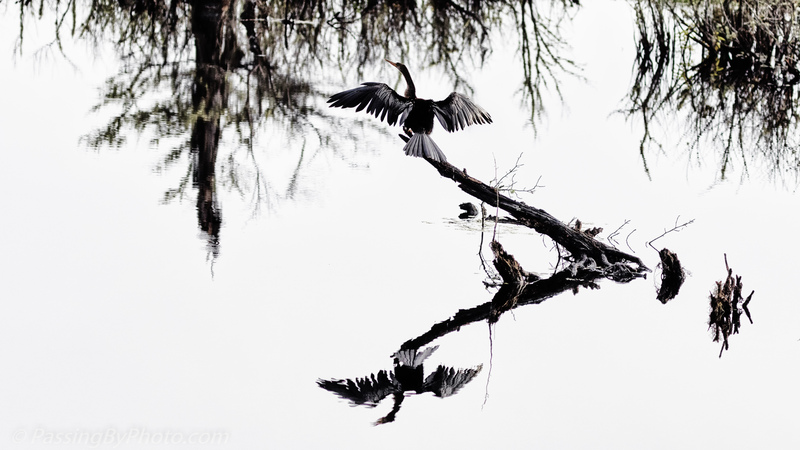 This Anhinga was performing his drying ritual fairly close to the dike. Hoping he wouldn’t fly I took this from the car, which limited my angle. This was the shadowy end of the pond and I didn’t capture much color, but of course I liked the reflection. Wow, THAT is a PHOTOGRAPH! !